This Evo Treadmill is powered by a 2.75 HP continuous duty motor combined with a heavy duty frame the EVO FX30 provides the durability and stability needed for the most active workout enthusiast. Featuring EVO patented Motion Control and Swing Arm Suspension. The FX30 folding treadmill offers you training flexibility from start to finish. ToughTrain 4 out of 5 Superb machine, having all latest features and available in a an attractive price. 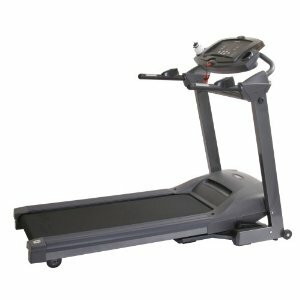 TreadmillDoctor.com 7.5 out of 10 Decent machine for a decent price but with the flood of other choices in this price range, either up or down the EVO/Smooth lineup. *Note: Most of the sites, stores or shopping portals listed above sell EVO FX30 Treadmill with discounts and other exciting offers. There is a possibility that the some of above websites are not selling EVO FX30 Treadmill now. Toughtrain.com is not liable for such cases or instances. Also we do not recommend any seller for EVO FX30 Treadmill and a buyer should buy from where he/she gets best deal with quality of products, service and on time delivery (shipment).